The Vorrei Deliciously Fishy Hamper is packed with the taste of the Mediterranean, a great gift for fish loving friends and relatives! Recipes to help your recipient make the most of these fabulous ingredients. 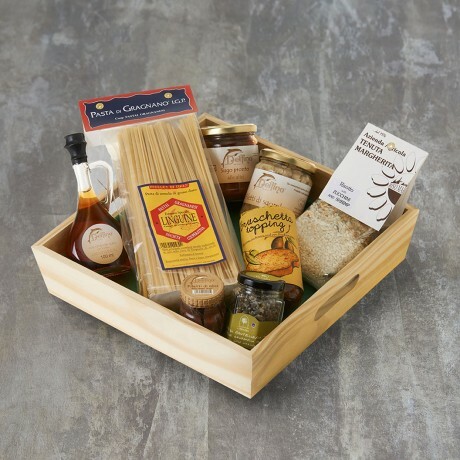 All items are carefully wrapped and presented in a lovely wooden tray. Add a personalised message for a more special touch.